The Alumni Volunteer Opportunities Directory is designed to help get you started on your volunteer journey, and to expand your volunteering horizons. Visit our Alumni Volunteer Job Board to discover current volunteer roles with Queen’s. Check out our Learning Library for a comprehensive list of volunteer resources including videos of our guest speakers from Alumni Volunteer Summit, a unique professional development opportunity for current and prospective Queen’s volunteers. 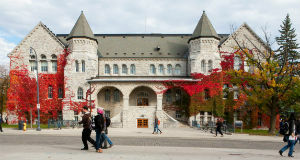 Queen's University is distinguished by excellence and leadership in volunteerism. We see a diverse community where volunteers are engaged in support of Queen's as valued and integral partners and where their contributions are respected, recognized, and championed. Designed for new or returning volunteers, this brief orientation provides an introduction to Queen’s University Alumni Association and Alumni Relations & Annual Giving Offices. If you have any issues accessing the material, or would like to review the information in a different format, please contact the Volunteer Relations Team. Visit our Alumni Volunteer Job Board to learn about volunteering opportunities. There are also specific volunteering roles in support of Homecoming and Class Reunions and with our Alumni Branches. Do you have a project or program that could benefit from the assistance of an alumni volunteer? Submit your volunteer opportunity. Please note: At this time, we are only able to accept Queen's alumni volunteer positions. Please contact the Volunteer Relations Team if you are unsure whether your position is eligible for posting. Alumni volunteers are expected to adhere to the QUAA Code of Conduct. Queen’s is committed to an inclusive campus community with accessible goods, services, and facilities that respect the dignity and independence of persons with disabilities. Queen's University Office of Advancement, Alumni Relations Department, and Alumni Association are committed to communicating and promoting messages of anti-racism and equity. We are committed to clear communication with our Alumni. However, like any organization we have our own set of common acronyms and buzz words. While we work to remove these words from our site and other communication pieces, we have provided the guide below to assist you. ATB At the Branches - Section in the Alumni Review dedicated to upcoming events at QUAA branches across Canada and around the world. FDASC Four Directions Aboriginal Student Centre. TCG Tricolour Guard - The name given to alumni who graduated 50 or more years ago. Affinity Partners Queen’s affinity partnerships strive to offer alumni the opportunity to indirectly support the University while benefiting from value added personal services. (Eg: Car & Home Insurance through TD Insurance Meloche Monnex, or Queen’s MBNA MasterCard). GradBash An annual celebration for graduating students hosted by the Queen's University Alumni Association. Recent Grads Alumni who graduated within the past 10 years. Shakers & Stirrers A series of speaker events hosted by the Ottawa Branch’s Young Alumni Committee. 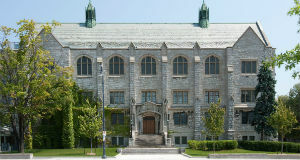 The Board Typically refers to the Board of Directors of the Queen’s University Alumni Association (QUAA), but could also be in reference to the university’s Board of Trustees. Information about learning opportunities, additional resources and tips for volunteer leaders. Learn about appropriate risk management practices and tools. Find and download volunteer forms, templates, and other helpful documents. You’ll find a variety of ways to get involved with the Queen’s University Alumni Association all over the world. Check out our list of available positions to find the one right for you. 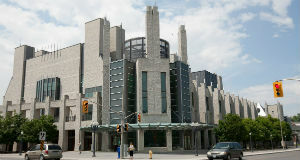 A one-day conference to connect with new and veteran Queen's volunteers. Learn about volunteer opportunities and build your volunteer skillset. Cha Gheill! Summon your school spirit and fellow alumni by volunteering for class reunions and Homecoming celebrations. Connect with Alumni in your community. Get involved with your local Alumni Branch or start your own. Queen's University has adopted the Canadian Code for Volunteer Involvement as an integral part of operational practice, to be made known to every employee and volunteer, and to be readily available to every staff member and volunteer for consistent reference and consultation.